Come one, come all to the first official public presentation of the Atelier Bindery, hosted by the Minocqua Public Library on Thursday June 28th from 6:30-8 PM. 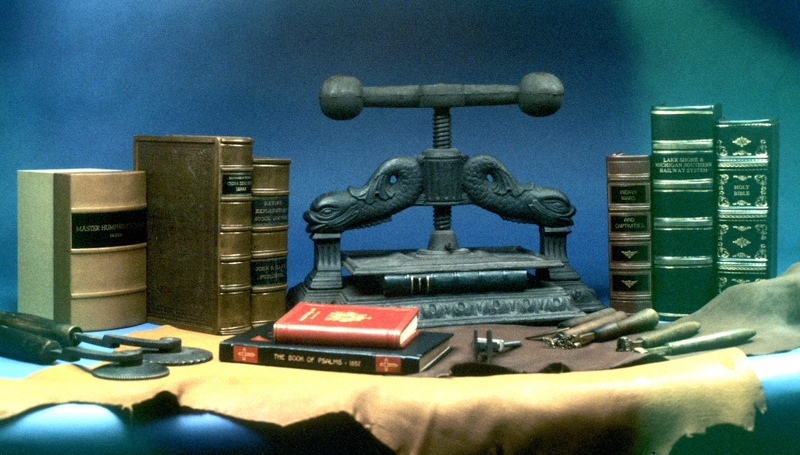 This special presentation will trace the creation of a fully restored, hand bound leather book. Also, examples of repairs and restorations will be illustrated, and sample bindings will be displayed along with a selection of tools and materials. A question and answer period will follow the presentation. Refreshments will be served. This event is free and open to the public, we look forward to seeing you there!